The company was organized in 2006 in the state of Pennsylvania. 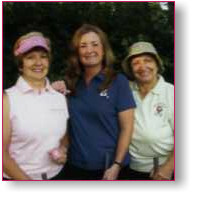 The three partners, all avid golfers, were frustrated by the limited amount of quality and economical golf products for women. Girls Lone Golfing, LLC is a Web-based company which will provide women golfers of all ages with reasonably priced, trend setting golf apparel and accessories. We are able to provide our products at wholesale prices because we have eliminated the middle man. Please view our full product line and make your purchases securely, online!